The rules proposed on 25 January by the Colorado Oil and Gas Conservation Commission (COGCC) conflict with the Task Force’s original recommendations, said Colorado Petroleum Council (CPC) Executive Director Tracee Bentley. “Energy is fundamental to our society, and thanks to innovation and entrepreneurial spirit, Colorado stands among the country’s leaders in energy production and environmental improvement. To remain an energy leader, we must balance a healthy, growing economy with rules that do not hinder progress and encourage innovation. “While it is clear that a significant portion of these rules do go far beyond the scope of the original Task Force recommendations, we recognise and appreciate the collaboration from the COGCC staff and other stakeholders who participated in this process. “Attempting to regulate relationships via regulatory rulemakings is extremely difficult, as demonstrated by this process. The oil and natural gas industry will continue dialogue with local governments and all stakeholders on proposals that support Colorado’s economic prosperity and benefits to consumers. Coloradan energy policies can be an example for how the US can grow its economy and create jobs rather than stifling energy development in the state with additional roadblocks for energy development and fewer benefits for Coloradans. 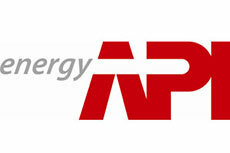 The CPC is a division of API, which represents all segments of America’s oil and natural gas industry. 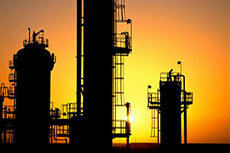 Its more than 650 members produce, process, and distribute most of the nation’s energy. The industry also supports 9.8 million US jobs and 8% of the US economy. 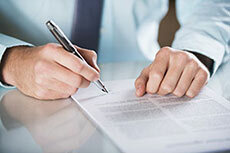 API and ANGA will combine to become a single trade association. The American Petroleum Institute has applauded the bipartisan Senate push for crude exports. The American Petroleum Institute has said that a proposed refinery regulation is a costly step backward for environmental progress. The American Petroleum Institute have said that the Environmental Protection Agency should delay production and refinery emissions rules.